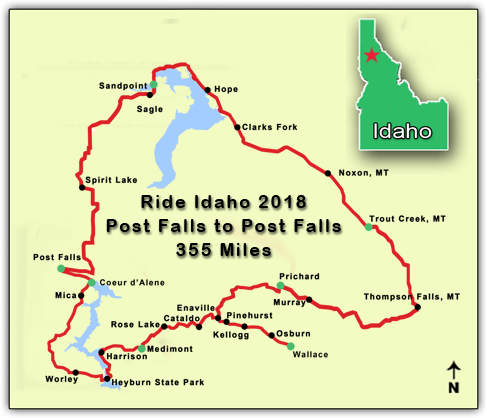 "Ride Idaho 2018" is now in the history books and a great memorable event it was. From our pristine camp at Sandpoints City Beach on Lake Pend Oreille to the private farm on Cave Lake in Medimont and so much in between, an amazing week. Great food, great entertainment and most of all a great gathering of riders from all over the US, Canada and abroad. In 2019 we will celebrate 15 years showcasing our beautiful state through this event and we look forward to seeing you all back again.